To make a donation to the Mon Valley YMCA you can mail a check, make a donation over the phone or stop in the Business Office of the Y. What would your life be like without the Y? I’d be very unhealthy and unhappy with myself as an individual had I not become a member of the Mon Valley Y. 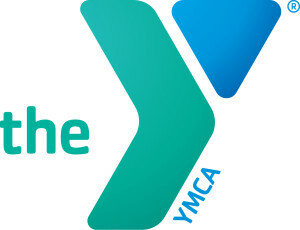 The Y gives me a safe place to grow and be the young man I know I can be. We moved here from Louisiana not knowing anyone in the Valley. Since joining the Mon Valley YMCA, we’ve found a sense of family and community. I’ve been overweight my entire life, feeling hopeless as my health continued to decrease in my older age. The Mon Valley YMCA provided me with the fitness classes I needed to get my health on track. Without the Y, I wouldn’t have been able to lose 50lbs. People need certain things to thrive. We need to eat well, stay safe, be active, spend time together, learn and grow. Sadly, in an increasingly technological and polarized world, it’s not always easy to get what we need. Playing outside has become a rarity. Face time happens through a phone. Instead of seeing the income gap shrink, it seems all we do is watch it grow, but where society falls short, the Y steps in. A strong community can only be achieved when we invest in our kids, our health and our neighbors. It is often taken for granted how many lives are impacted each day by our YMCA. The Y gives us a place to play, to learn, to be healthy, to eat well and give back. It gives parents child care, young adults job training and children a safe place to go. Everything the Y does is in service of making us better. Ask yourself this question, what would your life be like without the Y? The Mon Valley YMCA is launching its 2017 Annual Campaign. Every dollar donated will be used to provide direct assistance to our members and program participants, creating a lasting impact on our facility. 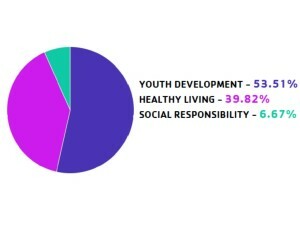 It is these donations that allow us to create a place we are proud to share with our community. Every dollar donated will be used to provide direct assistance to our members and program participants, creating a lasting impact in the community by helping us to reach more people through life-changing programs and services. For a better you. For a better community. For a better country. For a better us.